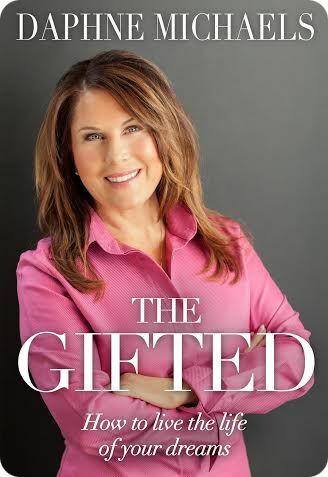 Today, I’m happy to welcome Daphne Michaels, author of The Gifted, to my blog. She’s talking about her experience at Book Expo America. This year at the International Book Expo in New York someone had a great idea to do something new and wild. While the Book Expo has traditionally been limited to trade professionals, this year they opened the last day to the public. It was amazing to be a part of this experience! One day people were holding business meetings and talking shop, the next day up to ten thousand readers made their way through long lines to be a part of the international readers experience. From tiny children being carried by adults to teens hoping to meet their favorite authors, people looking for gifts for loved ones and book club members deciding on their next selection, the enthusiasm that readers brought to the event was incredible. I was there to launch my new book, The Gifted: How to Live the Life of Your Dreams. While it was amazing to see Neil Patrick Harris, Tavis Smiley, Anjelica Huston and Lisa Scottoline in person (and they all gave fabulous talks) I must say that for me the highlight of the entire show was when the readers poured in. It has been said before that writing can be a lonely profession. It is easy to feel this when we, as writers, spend so much time in our own thoughts and in front of computers. Launching my new book at Book Expo America where a sea of enthusiastic readers brought the “business” of writing into proper perspective has forever changed my experience of writing. As a steady stream of book fans pushed through joyfully crowded aisle ways their smiles, appreciation and words of encouragement vaporized any sense of separation I may have had. Writers and readers are inextricably linked — I not only know this in my mind … but now in every cell of my being. It was wild — in a blissful sense — to be part of such a successful experiment. Someone had a great idea — and acted on it! Next PostHow do I do chores? One day I’ll join that sea of readers at Book Expo! Glad it was such a positive and connecting experience. I’d love to go one day too.